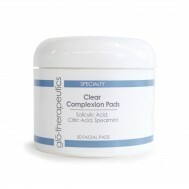 5% Salicylic Acid - Effectively penetrates and exfoliates within the pore to smooth skin and improve texture. This action within the pores makes it an ideal exfoliant for use on acne and acne-prone skin. Produces less irritation than alpha hydroxy acids, making it a welcome alternative for those with sensitive skin. It also has anti-inflammatory properties, as well as antiseptic, fungicidal, antioxidant and bactericidal properties. Sodium Chlorite - Breaks apart sebum and bacteria while preventing regrowth of bacteria for extended periods of time. 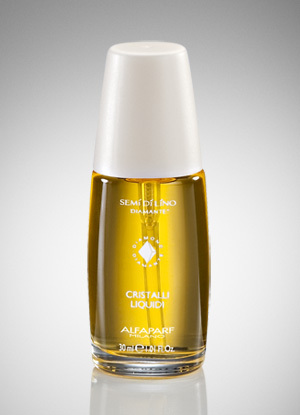 Works synergistically with Salicylic Acid to increase intensity. Citric Acid - Softens skin, acts as a natural preservative, adjusts acid-alkaline balance, is a foam inhibitor, astringent and an antioxidant. Spearmint - Acts as an antibacterial and antioxidant ingredient. On the skin it can relieve the itching and helps with acne, dermatitis and congested skin. Use morning and night following cleansing. 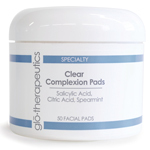 Lightly smooth pad over face allowing the solution to penetrate into pores. Allow skin to dry, then apply Clear Healing Gel. Keep jar closed when not in use. Purified Water, Alcohol Denat., Salicylic Acid, Sodium Chlorite, Lauryl Glucoside, Sodium Bicarbonate, Benzalkonium Chloride, Citric Acid, Sodium Hydroxide, Mentha Spicata (Spearmint) Oil.